• FEMA paid out 95,235 flood loss claims in 2017, up from 12,907 in 2014. 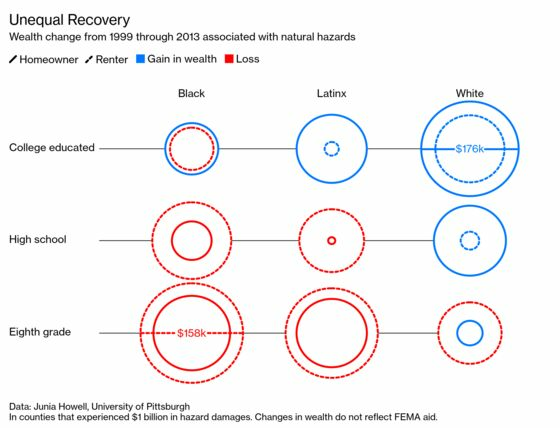 • Disparities in the distribution of FEMA aid left less economically stable victims, regardless of race, worse off. • Howell found that white people were the most likely to benefit, except for those with the least education.